Learn How To Develop Open Source Software. 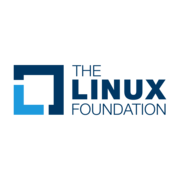 Get the skills and knowledge you need to develop open source software using Linux, git, and more! The Open Source Software Development, Linux and Git Specialization will give you a strong foundation for working comfortably and productively in open source development communities. By completing the specialization, you’ll have a better understanding of the Linux environment, as well as methods and tools required to successfully use it, and you’ll know how to use git, the distributed version control system. Experienced computer users and developers with limited/no experience working in a Linux environment, or who have worked before on Linux systems and want to know how to use git. We estimate that it takes about 60-70 hours, on average, to complete the specialization. Experience as a developer on any operating system. Experience in working at the command line is not necessary, but would be helpful. We recommend that you do take the courses in order.